Adjustable Height Range: 65 to 95 cm. The Stagg KXS-A35 X Frame Keyboard Stand is a robust, sturdy keyboard stand which is great for a gigging musician. Features include adjustable height and safety locking mechanism and rubber grips to secure any keyboard use. 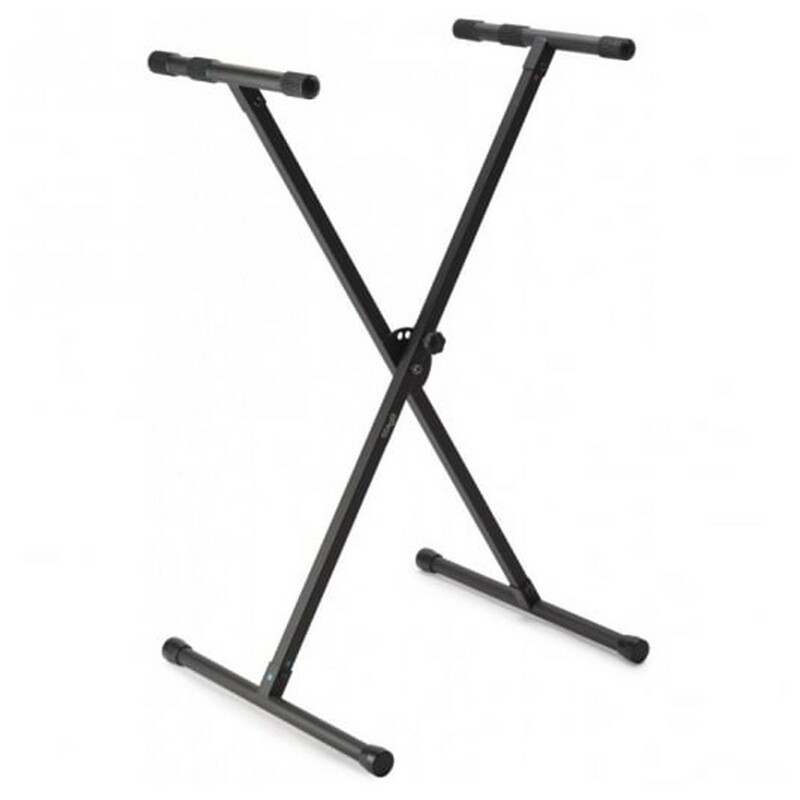 The Stagg KXS-A35 X Frame Keyboard Stand performs well and looks great with its smart black finish. Height range: 65 to 95 cm / 25.6 to 37.4 in.